Miscanthus are Warm Season Grasses. These grasses are much slower to get started in the spring. They do not start pushing new growth until temperatures warm in early to mid summer. They flower later in the summer or fall with most blooms remaining into the winter. 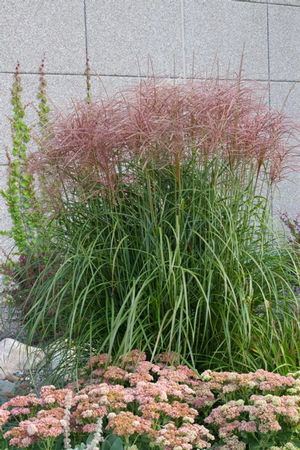 Most warm season grasses are able to handle heat, humidity and dought, some even thrive in these conditions.